State Law requires student to have certain immunizations before they can attend school. 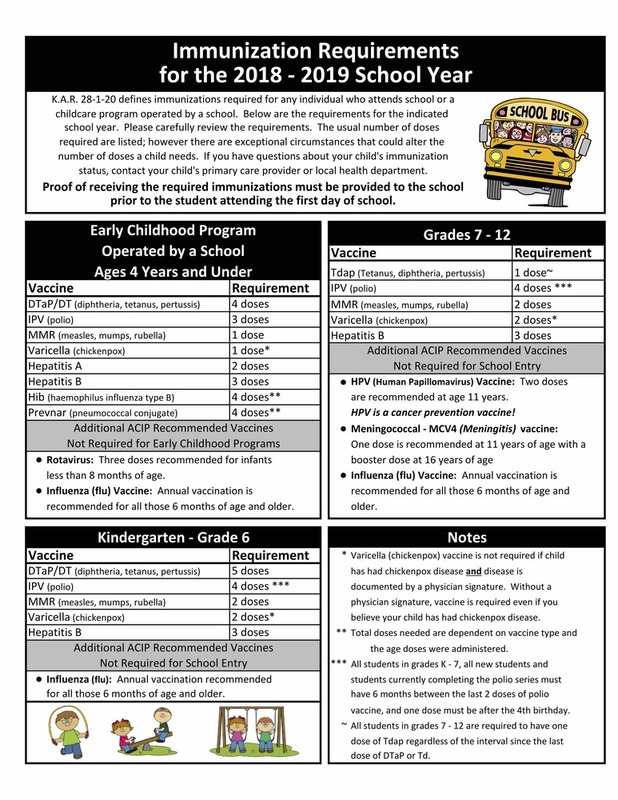 Please refer to the immunizations chart for details. If you have questions, please reach out to our district nurse, Jessica, at jesssica.lohman@usd215.org.